← Fairhope mom-and-pop business explodes across the Southeast. Wind power generation has both problems and possibilities. Locally, LuLu's in Gulf Shores and The Windmill Market in Fairhope, Alabama both have wind turbines. If anything good comes out of last year’s BP oil spill, it may be that the disaster accelerates the development of alternatives to oil. The world is addicted to oil. But oil is a finite resource that we will eventually run out of with disastrous consequences if we’re not prepared. There are alternatives to fossil fuels (oil, gas, coal), but all are really in the embryonic stages of development. None of the alternatives are currently capable of totally replacing oil. In fact, all of them together, would replace less than 13 percent of the energy used in the world. However, as fossil fuels become more expensive and dangerous to produce, the alternatives will become more profitable in a market economy. This is assuming, of course, that our country’s future includes a functioning free market driving our economy. Let’s consider a few of the energy alternatives. Wind power is getting increased attention. The current day windmills (turbines, actually) cause the rotation of magnets which produce electricity. 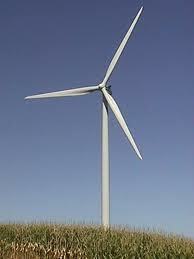 Wind power produces about 2% of the world’s electricity and is growing rapidly, having doubled in the past three years. It’s clean and certainly a renewable resource. Several countries have achieved relatively high levels of wind power production with large governmental subsidies. Denmark is the highest with 19% of its electricity produced from wind. In the U.S., wind power accounts for only 2% of our electricity. Drawbacks to wind power include the fact that production can be highly variable. In some areas, peak wind speeds do not coincide with seasonal peak demand for electrical power. Although wind generated electricity can be “stored” for peak times, current storage methods are inefficient and add significantly to the cost. Another objection is that huge wind farms are considered an eyesore. Another option is hydroelectric power which involves damming up rivers and running the rechanneled water over a turbine to produce energy. About 6% of the word’s electricity is produced by this method. Not too far above Mobile, the Alabama River was dammed at Millers Ferry 45 years ago for a hydroelectric power plant. Objections to hydroelectric generation include serious environmental impact. Remember the Alabama sturgeon of media fame a few years ago? Once so abundant the fish were caught and sold commercially, the species is now thought to be extinct. Older fishermen on the Alabama River around the Claiborne and Millers Ferry dams remember from the 1970s a bloody mess at the dams as the sturgeon tried to swim upstream in their annual spawning migration. Trying to get upstream, the fish repeatedly crashed into the dams until their heads were raw and the water pink with blood. After a few years, the fisherman say the fish disappeared. With only 6% of our total electrical energy needs being supplied by hydroelectric generation and with such environmental degradation, the further development of this source seems limited. Another possible option for energy production is the use of biomass which denotes using garbage, corn, vegetable oil and other vegetation to generate methane and ethanol. Although intriguing, this option doesn’t appear to be feasible at present on a large scale. According to one source, in order to produce enough ethanol to replace only the U.S. petroleum needs would require three quarters of all the cultivated land on the planet. Solar energy is another option being considered and involves using solar cells to convert sunlight into electricity. This alternative has some promise although it would take a huge effort. For example, to supply all of America’s electricity, an area of 3,500 square miles in Arizona (the state with the highest solar radiation) would have to be completely covered with solar panels. Look for improved technology and expanded use of this source. China is leading the way. This brings us to the most promising and also unquestionably the most controversial energy alternative. In nuclear power stations, nuclear fission heats water to create steam which turns a turbine generator, producing electricity. The specter of nuclear meltdowns and other accidents such as Three Mile Island and Chernobyl have justifiably aroused fear. However, coal and hydropower energy production have each caused more deaths per unit of electricity produced than nuclear generation. And in defense of nuclear plants, it should be noted that the Chernobyl plant was an outdated and crude design used only in the Soviet Union. The problem with nuclear power generation is the storage of the waste. Nuclear waste stays radioactive for thousands of years. The waste material is currently stored in concrete casks close to the nuclear plants. Safer and more technologically advanced nuclear reactors are being designed and the problem of waste storage is being urgently worked on. France currently produces over 80% of its electricity from nuclear energy compared to 19% in the U.S. According to Stanford University, there is enough Uranium in the earth’s crust to power humans on earth for billions of years. The bottom line on any energy alternative is the fact that there has to be a profit incentive to produce it. A market economy, with appropriate regulation, will insure the long term development of economically viable alternatives. A government controlled economy without the profit incentive can’t do this in the long run, as the dramatic collapse of the Soviet Union just 20 years ago proved. This entry was posted in Alabama's Economy, Gulf Coast BP Oil Spill, Mobile, Fairhope & Gulf Shores, Alabama and tagged alternative energy sources, BP Oil Spill, Chernobyl, Deepwater Horizon oil spill, Electricity generation, Hydroelectricity, nuclear energy alternative, Nuclear power, solar power, William Bruce Fairhope AL, wind farms, wind power. Bookmark the permalink.